Snowmobiling is something that you simply have to try during your visit in Lapland! 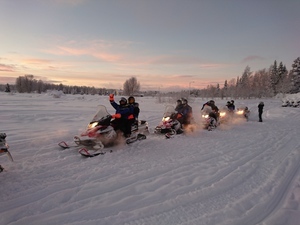 The individual tour takes you driving to the trails around Rovaniemi city after what you have a much better understanding – how does a snowmobiling feels. The more you try, the more you like it! The safari is suitable for beginners, more experienced and families with children. 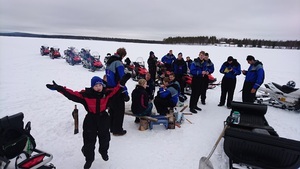 Children are traveling in the sledge pulled by the guide’s snowmobile.